Carol King examines some of Pope Francis’ favourite things as revealed in a recent interview and discovers many of them are Italian. Pope Francis’ love of soccer and tango are well documented. However, in a recent interview the pope gave to the editor-in-chief of Italian Jesuit journal ‘La Civiltà Cattolica’, Father Antonio Spadaro, at a series of meetings at the Vatican, the pontiff discussed a wide range of topics that reveal more about his love of all kinds of culture – including some of Italy’s own great artists, writers, composers, directors and actors. Published simultaneously by 16 Jesuit publications around the world, the 10,000-word interview was unprecedented, and shows the Pope’s liking for music, literature, art and cinema. 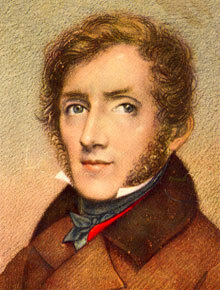 Alessandro Manzoni The pope told Father Spadaro that he had read Italian novelist and poet Alessandro Manzoni’s historical novel ‘I promessi sposi’ (The Betrothed) three times – and said that it was beside his table because he wanted to read again as “Manzoni gave me so much.” The pontiff said that his grandmother had taught him by heart the beginning of ‘The Betrothed’. Set in northern Italy in 1628 when Italy was under Spanish rule, the novel is seen as an attack on Austria, which controlled the region when Manzoni wrote it in 1827. ‘The Betrothed’ is regarded as one of the masterpieces of world literature. It is symbolic of the Italian Risorgimento because of its patriotic message and significant contribution to the development of the modern Italian language. Anna Magnani Another childhood favourite of the pope’s is Italian stage and film actress Anna Magnani. As a follower of the feisty Oscar-winning actress it’s likely he will have seen her in films such as the 1941 comedy ‘Teresa Venerdì’ directed by the young Vittorio De Sica, in which she plays a flirtatious singer. Aldo Fabrizi The pontiff revealed he is a fan of cinema and that he owes his love of movies to his parents, who took him to the cinema often. He said he believed had watched all of the Italian movies featuring actor, writer and director Aldo Fabrizi when he was between 10- and 12-years-old. Fabrizi is known for his comic roles and – if the pontiff’s memory is correct – that means he will have seen the star in his early films like 1943’s ‘L’ultima carrozzella’ (The Last Wagon) where Fabrizi played a Roman horse-cab driver who is stuck in his ways. Caravaggio Pope Francis revealed he admires Italian Mannerist painter Caravaggio, saying the artist’s paintings “speak to me”. 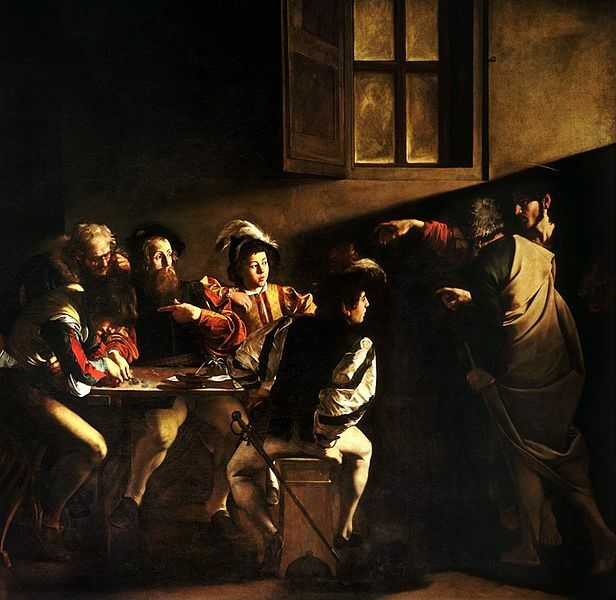 The pope revealed that when he used to visit Rome he would go to the Chiesa di San Luigi dei Francesi (Church of St. Louis of the French) to admire Caravaggio’s painting ‘The Calling of St. Matthew’. Painted from 1599 to 1600, ‘The Calling of St. Matthew’ depicts the scene from the Gospel of Matthew when Jesus inspires the tax collector Matthew to follow him. The painting shows Matthew sitting at a table with four men and Jesus pointing at him. The pope said he felt like the saint “a sinner on whom the Lord has turned his gaze”, comparing the scene to the moment when he was asked if he would accept his election as pontiff. Federico Fellini The pope said that Italian director and writer Federico Fellini’s ‘La Strada’ (The Road) is the movie he loves most because he identifies with it. He also noted the film’s implicit reference to his namesake, St. Francis of Assisi. Made in 1954, the Neorealist movie won an Oscar for Best Foreign Language Film and stars Giulietta Masina as a vulnerable young woman who goes on the road with a circus strongman played by Anthony Quinn. Giacomo Puccini ‘Turandot’ was Italian composer Giacomo Puccini’s last opera and it was incomplete when he died in 1924. A love story set in ancient China, the opera is best known for its ‘Nessun Dorma’ (None Shall Sleep) aria from the final act. Pope Francis cited a riddle in the opera to which the answer is hope as an example of the mystery of hope in the face of difficulty. 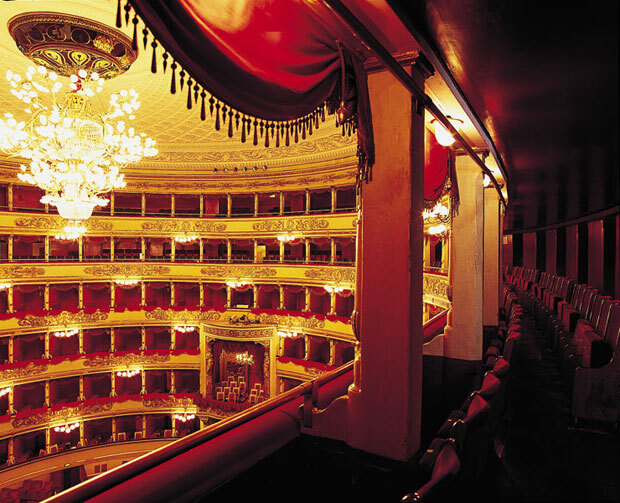 La Scala The pope said he likes to listen to the music of German composer Richard Wagner. The pontiff said that he felt the best performance of Wagner’s ‘Der Ring des Nibelungen’ (The Ring of the Nibelung) was that conducted by German conductor Wilhelm Furtwängler at Italy’s premiere opera house, La Scala in Milan, in 1950, which was recorded live. Roberto Rossellini Another of the pope’s favourite films is Italian director Roberto Rossellini’s World War II Neorealist drama ‘Roma, città aperta’ (Rome: Open City). Made in 1945, ‘Rome: Open City’ is about the Nazi Occupation of the Italian capital. It stars two of the pontiff’s favourite actors, Anna Magnani and Aldo Fabrizi. The latter plays Don Pietro Pellegrini, a priest who acts as a spokesman for the Italian partisans and resists interrogation when captured by the Nazis. Wolfgang Amadeus Mozart Pope Francis loves Mozart, declaring that the Austrian composer’s aria ‘Et incarnatus est’ (And was incarnate) from his Great Mass in C minor “lifts you to God”. Mozart composed the piece in 1782 and 1783 in Vienna. When Mozart was young, he travelled to Italy three times between 1769 and 1773. The composer’s time in Italy helped him develop artistically and he studied under Italian musician, composer and Franciscan friar, Father Giovanni Battista Martini. Marc Chagall Of course, not all of the pope’s favourite creatives are Italian and among the artists he said he admires is pioneer of Modernism, Jewish Russian painter Marc Chagall. The pope mentioned the artist’s ‘White Crucifixion’ painted in Paris, France in 1938 in response to the terrible events of the Kristallnacht (Night of Broken Glass) pogrom against the Jews in Germany and Austria conducted that year by the Nazis. The painting depicts Jesus on the cross dressed in traditional Jewish garments and surrounded by images of the devastation wreaked by the pogrom. Ten Things You Can Do in Bologna, For Free!